It can be seen that issues around faculty development and training, class size, hiring of contract instructors and teaching assistants, and team work will influence the organisation’s capacity to do the kind of teaching that will develop the knowledge and skills needed in a digital age (or any other age, for that matter). It may be possible for you, particularly if you are tenured faculty working in a university, individually to make the necessary changes to your teaching to fit the needs of a digital age, but for the majority of teachers and instructors, the institution as a whole needs to support the necessary changes to teaching. a way of measuring successful implementation of the strategy. There are various ways in which such a strategy may be developed (see Bates and Sangrà, 2011), including top-down and bottom-up processes for setting overall goals, but in a university it may be through an annual academic planning process where departments/faculties must submit their plans for the next three years, including resources needed, based on meeting the overall academic goals set by the university. In such a planning cycle, it is important to include the goals for meeting the needs of learners in a digital age as ‘targets’ for departments when drawing up their plans. These plans should indicate not only content to be covered but also delivery and teaching methods to be used, with a rationale for them. 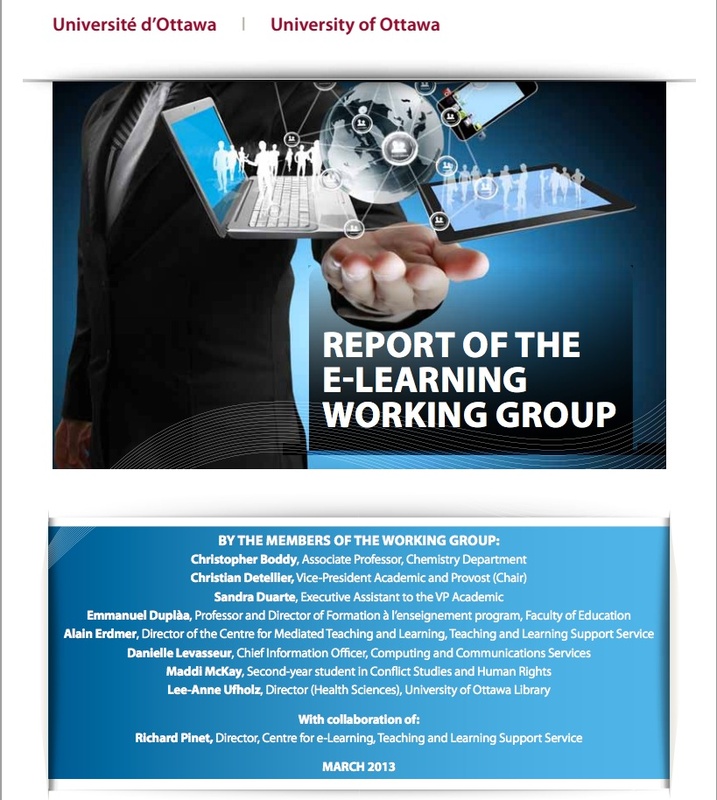 Several universities are already in the process of implementing such plans that aim to focus on delivering the kind and quality of teaching needed in a digital age, such as the University of British Columbia’s Flexible Learning Initiative and the University of Ottawa’s e-learning plan. It is of course important for anyone who has read this book to make sure they are actively engaged in such processes, to help shape policy and direction. Without institutional support, it will be difficult to make significant changes. 1. Does your organisation have a strategy for teaching and learning? Is it any good? Does it deal with the needs of learners in a digital age? 2. If you could design or change your organisation’s strategy for teaching and learning, what would you include? 12.6 An institutional strategy for teaching in a digital age by Anthony William (Tony) Bates is licensed under a Creative Commons Attribution-NonCommercial 4.0 International License, except where otherwise noted.